Would you send a surgeon into the operating room without a scalpel? Or a soldier into battle without a weapon? How about a teacher into a classroom without the proper tools to teach your children? Probably not! If a firefighter arrives at the scene of an emergency without proper access to a fire hydrant, the result can be life-threatening for the firefighter as well as the family they are trying to save. Fire hydrants are the vital tap into the proper water source that fire fighters need to put out fires. They are spread throughout the district to allow quick access to water when needed. The hydrants hold back the thousands of gallons per minute of water available in pipes that run beneath our parish. When opened, hydrants can provide anywhere from 500 to 3,500 gallons of water every minute! But if not controlled, open fire hydrants can cause great damage to property. Let them alone. They should only be used only by emergency personnel. There are temporary accesses permitted by the water purveyors that allow contractors to access water from hydrants for construction work. Those connections are done in a way to ensure the hydrant is still accessible in the event of a fire. Keep them clear. Keep vegetation from growing over hydrants. There should be at least three- feet of clear area all around the fire hydrants. 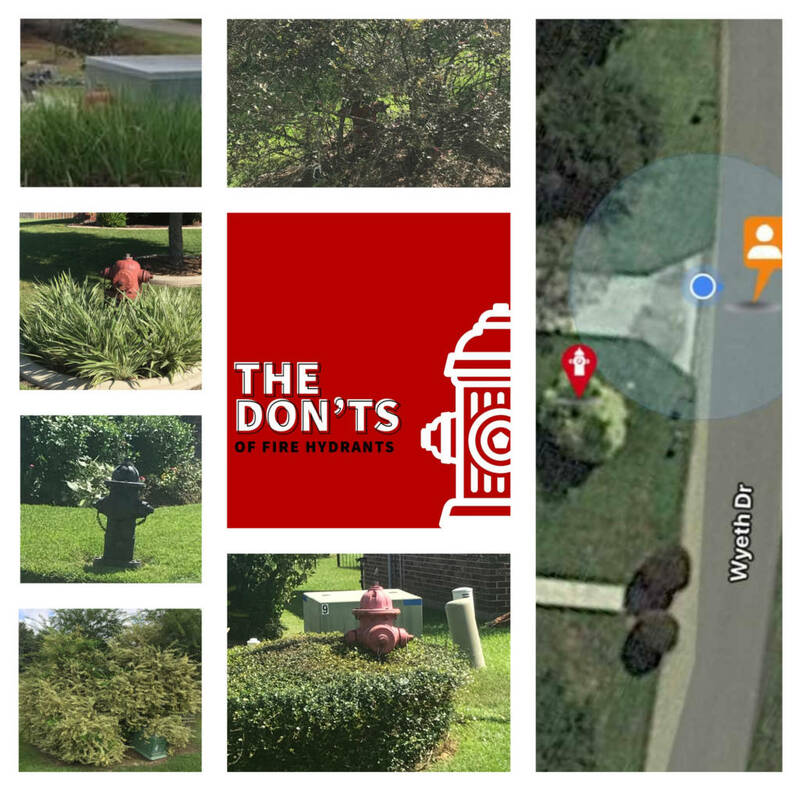 If the hydrant is along the sidewalk in front of your house, city and parish ordinances make it your responsibility to keep it clear year round, (Livingston Parish and City of Walker ordinances: https://bit.ly/2EvZV4M and https://bit.ly/2CVrT8c). Report damage or suspicious activity. If you see any illegal activity (such as evidence of tampering), damage, leaks, etc., please call our office at 225-664-7102 or the appropriate water company for your area. Don’t park in front of a fire hydrant. Ten feet should always be left on each side of a hydrant to allow clear access. Delay in getting access to a hydrant can delay the fire department in getting water on a fire. Don’t tamper with them. Hydrants are for emergency use only. Do not attempt to open any of the ports or valves. Don’t paint them. Hydrants are the property of the water purveyor. If you find one that needs painting, call the purveyor. They are colored red to make them easier to see during an emergency. Don’t conceal them with plants. Please do not plant flowers, bushes or shrubs around a fire hydrant to make them less conspicuous. Help LPFPD4 these vital firefighting tools available for use at all times.